His Eminence Garchen Rinpoche is one of the foremost Buddhist masters and accomplished Tibetan Lamas alive in this world today. His compassion, love, wisdom, and spiritual accomplishments are legendary. He is one of the highest Lamas of the Drikung Kagyu Lineage of Tibetan Buddhism and is revered and respected by all the different lineages of Buddhism, and beloved in numerous countries across various continents all over the world. His disciples number in the tens of thousands and his dharma activities pervade everywhere. He is truly a living example of an authentic enlightened being and a great Bodhisattva. Famous throughout the world for his vast realization and great kindness, Rinpoche is truly a wish fulfilling gem, and one of the greatest authentic spiritual masters in the world. Garchen Rinpoche was born in Eastern Tibet in 1936 and recognized at a very young age as the 8th incarnation of Garchen Rinpoche. From that time, he entered into monastic life and studied and practiced the dharma under many of the highest lamas of the Drikung lineage until the age of 19. Garchen Rinpoche then entered into a traditional three year retreat, which was interrupted after two and a half years due to the Cultural Revolution in China. At that time, after fighting in war to defend Tibet and preserve the Buddha Dharma, Garchen Rinpoche was captured and imprisoned. Garchen Rinpoche spent the next 20 years in prison and labor camps in Communist China. While in prison, Garchen Rinpoche met his root Guru, the great Nyingma master Khenpo Munsel, who gave him many essential teachings and pith instructions. Enduring unfathomable hardships, Rinpoche practiced secretly in prison until he attained great profound realization and merged his mind with his Guru. 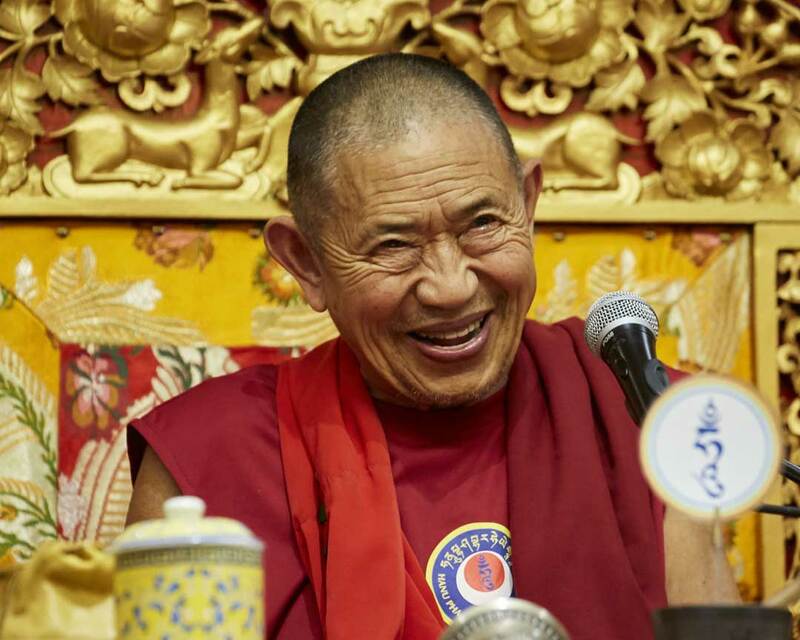 Since his release from prison in 1979, Garchen Rinpoche has worked tirelessly to restore, preserve, and spread the teachings and blessings of the Buddha Dharma across Tibet, and later, throughout the entire world. In 1997, Garchen Rinpoche came to America for the first time. He has established his main center, the Garchen Buddhist Institute, in Arizona as well as numerous other centers throughout North America, Europe, Asia and South America. 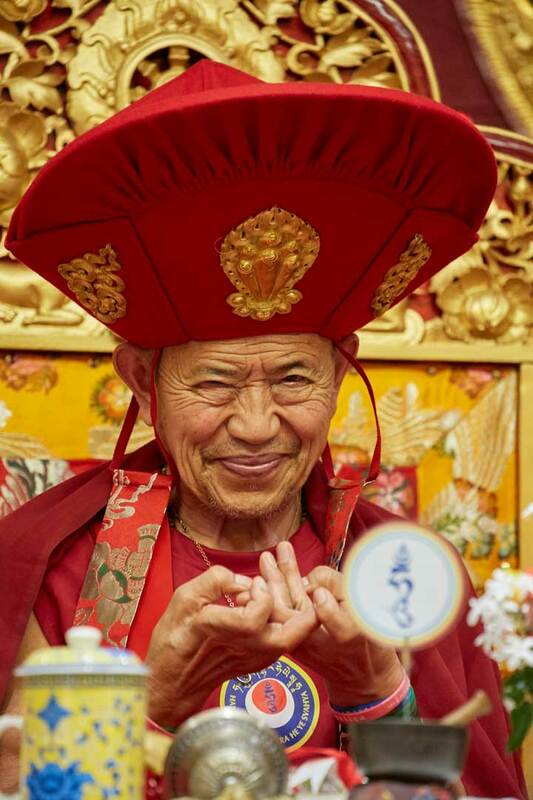 With his immeasurable compassion, vast realization and authentic blessings Rinpoche has inspired and guided thousands of Dharma students and practitioners to cultivate love, bodhichitta, and melt the ice block of self-grasping through dharma practice. He is an eminent master of the practices of Mahamudra and Dzogchen, Tummo, the Six Yogas of Naropa, the 37 Bodhisattva Practices, and many others. His Eminence Garchen Rinpoche has not visited Iowa. However, he comes to the midwest every other year to offer teachings.